We love the serene beauty of our Des Moines location! Though it’s a virtual stone’s throw—or is that stoner’s throw?—from massive Seattle and industrious Tacoma, Des Moines has its own tranquil charm, easily enjoyed via its many parks and trails. Another thing you might not be aware of is the wealth of dining options in Des Moines. Restaurants ranging from hearty Italian and classic Pacific Northwest seafood to Japanese, Vietnamese and Mexican make living (and eating) here a real treat, especially when the Winter rains come. Here’s just a short list of a few of our most beloved Des Moines restaurants! Fresh, no-frills and pristine seafood is a hallmark of the great Pacific Northwest, and Wally’s is a straight-up classic in this department. In a lovely site overlooking Puget Sound you’ll find any variety of fin fish—halibut, cod and even salmon—fried up with hot chips, or benchmark chowder, fresh seafood salads, and a few land-based proteins for good measure. It’s not a cheap meal, but for the occasional splurge, it doesn’t get much better than this. For many of us, nothing says “comfort food” like the classic Italian dishes we grew up on: Simple and hearty pastas, tender scaloppine, and chicken in sweet marsala sauce. This long-running mainstay serves up all this and more, including a notable lasagne and pizzas for dining in or takeout. A lovely deck overlooking the water seals the deal, but in colder months, the heartwarming food does the trick just as well. Saigon Garden may be another “don’t judge a book by its cover” ethnic eatery, but a slurp of its rich and cleansing pho broth convinces you these aren’t any ordinary soup-slingers. Vietnam’s brothy beef soup is so popular here in the Pacific Northwest it might as well be a homegrown invention, and this rendition reminds you why, with razor-thin slices of beef bobbing in a flavorful, noodle-heavy and herb-flecked—but light!—broth. It’s a true comfort food that crosses all borders. This family-style eatery is something of a throwback to the Mexican-style foods of yesteryear, which only makes us love it all the more. Think hearty, filling and comforting favorites like enchiladas, soothing Spanish-style rice and fajitas with warm tortillas and you’ll get the idea. The tangy margaritas don’t hurt either, come to think of it. Beautiful and atmospheric it is not, but Konich’s serves up reliably delicious Japanese diner favorites like chicken katsu—essentially an even crunchier version of schnitzel—and savory, sweet-and-salty satisfiers like Korean-style beef ribs, bouncy yakisoba noodles, and plump little gyoza, or Japanese-style potstickers. Another way to deal with that winter cold? Stop by our Des Moines dispensary to grab some of your favorite treats! 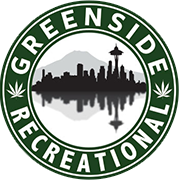 You can even check out our online dispensary menu and order ahead. Next CBD Oil Dosage: What is it for, and how much should I take?